Hi friends and Happy Holidays! Christmas is only a few days away, and if you're like me, there's always one or two people you need a last-minute card for. This month's 1-2-3 Card Design is perfect for using up scraps and creating those last-minute cards in a flash! As you know by now, my 1-2-3 Cards can be made quickly and easily with 1 Sentiment, 2 Paper Shapes and 3 Embellishments. They are easy, fast and fun! 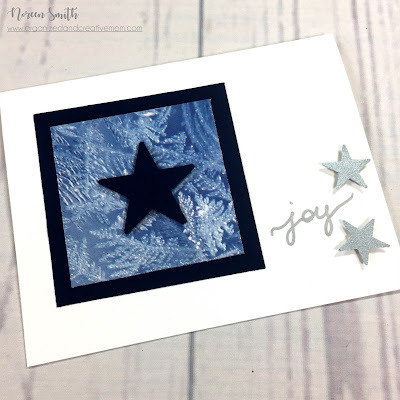 This month I'm using the lovely frosty papers from Creative Memories Glacier Collection, but instead of using the coordinating stickers, I'm using two sizes of punched stars as embellishments. 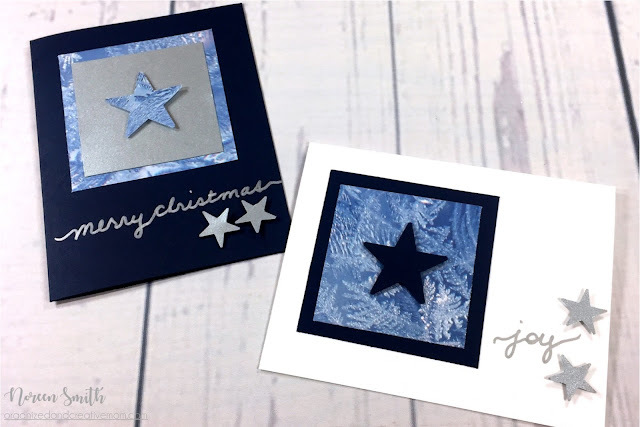 Using punched shapes is an easy way to create many embellishments, especially when you don't have coordinating stickers of die-cuts. They are also great when you are making cards in bulk as you can make them all the same. If you have a Cricut or other die-cutting machine - that will work great too, and probably will be even quicker! Each month I provide you with a FREE printable handout that shows the card sketch in both vertical and horizontal formats, gives you the measurements of the paper shapes, and includes a picture of the two sample cards for inspiration. And, each month I also create a how-to video that shows you just how easily and quickly the cards come together! So go get a holiday beverage and sit back for a few minutes to watch! Do you have any last minute cards to create? If you're all set for Christmas, then by all means use this month's sketch to create some cards for any other upcoming holiday or occasion! I'd LOVE to see what you create, please consider sharing your cards on my Facebook group to show us how YOU used the sketch! I love this card ! Simple but yet elegant....will be making this one soon. Merry Christmas and Happy New Year! Great! Thanks for the great ideas you share with us. Have a great Christmas and New Year! 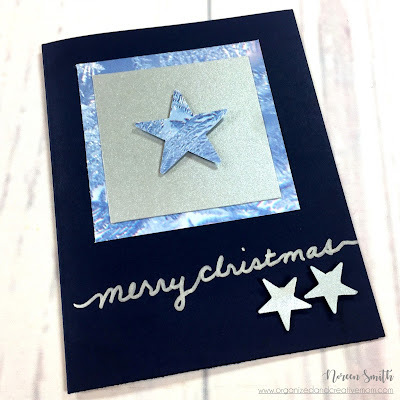 I love how you help us make simple but beautiful cards & layouts!!!! Thanks, Noreen!! !